The Wyoming Frontier Prison is now engaged in its largest project to date: the Adaptive Reuse of the Historic Guards’ Quarters. 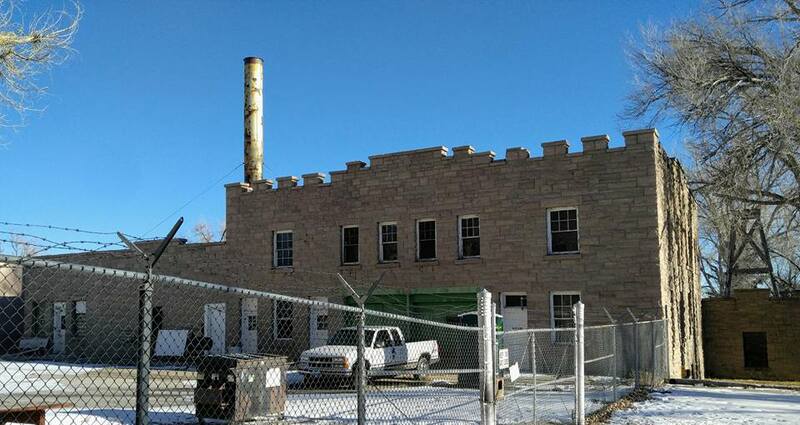 Thanks to a Community Development Block Grant and a Wyoming Business Council BRC Community Enhancement grant, the City of Rawlins and the Old Pen Joint Powers Board are working together to adaptively reuse this beautiful, historic building to enhance the tourism economy in Rawlins and Carbon County. 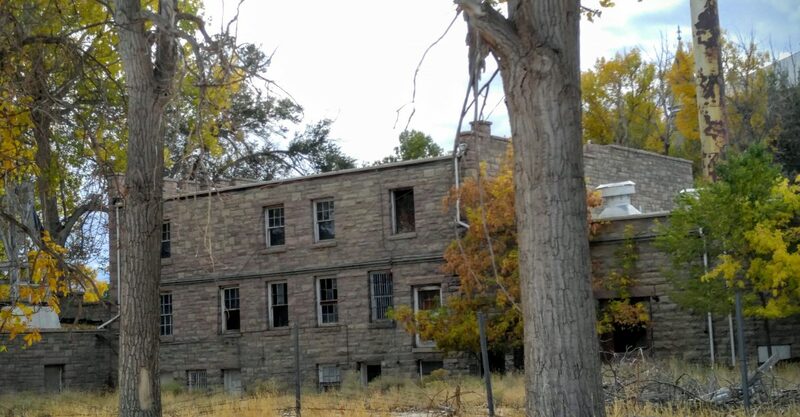 The Historic Guards’ Quarters was built in 1922 and it is considered a Contributing building in the National Register of Historic Places designation for the Wyoming Frontier Prison. According to the National Park Service’s Nomination Form, “Due to its relationship to historical events and ideas, the penitentiary is one of Wyoming’s most significant historic sites. The State Penitentiary complex in Rawlins, Wyoming, is historically and architecturally significant on both a local and regional level. The placement of the State Penitentiary in Rawlins reflected the political and economic realities of nineteenth century Wyoming, and its construction and use provided a stabilizing influence for the railroad town. As one of the oldest state-supported institutions, it serves as a physical reminder of the tenets of the Wyoming Constitution and associated legislation. The expressed desire for Wyoming’s people to punish deviant behavior and attempt to reform criminals is a significant portion of the state’s social history; the methods of punishing and the procedures in treating the deviant behavior mirrored and reinforced cultural values. The function of each building within the prison identified the various activities and goals of the penal institution. The tremendous expansion of prison facilities over the years reflected Wyoming’s political climate as citizens and politicians felt obligated to fund this powerful institution. Today, the old State Penitentiary represents Wyoming’s need to impose restrictions on human behavior and it is therefore symbolic of the development of a fledgling western society as it progressed through changes. The Romanesque buildings at the state prison architecturally describe the prevalent stylistic concerns in Wyoming in the late nineteenth to early twentieth century. Within the boundaries of the State Penitentiary’s Historic District are buildings that range in construction date from 1891-1980 and many are identified as contributing structures. The historic buildings can generally be divided into three stylistic categories: Romanesque, Mission and Utilitarian. The Romanesque structures (such as the administration building, cell block A, laundry, guard quarters-powerhouse complex, and commissary) are distinctive public buildings constructed of stone and should be considered as architecturally significant. Some of the more obvious justifications for the penitentiary’s architectural importance pertain to the small number of nineteenth century public buildings that remain standing today in Wyoming; only a few structures are made of stone. A very limited number of Wyoming buildings can be considered Romanesque; the administration building represents Wyoming’s adaptation of the Romanesque style. Finally, the prison’s association with a prominent architect, Walter E. Ware, augments the penitentiary’s architectural importance”. The Guards’ Quarters is a large building that sits on the eastern side of the Administrative Building; it was completed at the end of the summer in 1922. Warden Frank Hadsell wrote to the State Board of Charities and Reform, “A new building constructed of cut stone has been erected and is now occupied. This was completed at a cost of several hundred dollars less than the appropriation for this purpose, which was granted two years ago. This new building houses the blacksmith, and the steam fitting and plumbing department. In the basement is the new boiler room and coal bunker. These boilers are of 134 horse power capacity each, and not only heat the entire institution, but supply steam for the kitchens where it is used for cooking. The garage and automobile repair rooms are located in this new building as are the commissary and general store room. On the ground floor is located a commodious and well furnished comfort station for the use of the prisoners who are stationed outside the prison walls. This includes shower and tub baths, barbershop, lavatories and a place for reading and recreation when off duty. The second floor of this building provides a much needed addition to the comfort and convenience of the guards”. Since the Old Pen Joint Powers Board gained ownership of the old State Penitentiary in the early 1980’s, the Guards’ Quarters has just been used as storage and a workshop. The longer the building stands not being used to its full capacity, the larger the risk is to completely lose the building due to the natural deterioration process that all unused buildings go through. If we want to save this valuable, historic building, we will need to move quickly. A Structural Analysis was completed on the Guards’ Quarters by Myers Anderson Architects in August of 2014. This project will divide the Guards’ Quarters into several useful spaces that will be compliant with the Americans with Disabilities Act (ADA): (1.) Offices for the Carbon County Visitors’ Council that includes a waiting area, computer and desk area, a workspace, a private office, and a new restroom; (2.) Exhibit space that can be used by the CCVC, the Wyoming Frontier Prison (WFP), or other interested parties; (3.) Conference Room; (4.) Additional rest rooms to be used by anyone using the Exhibit Space or the Conference Room, large groups that are touring the Wyoming Frontier Prison or during special events such as the Pen to Pen Fun Run; and (5.) Entrepreneurial space that will be available for rent. Stay tuned to watch this long awaited project come to life!